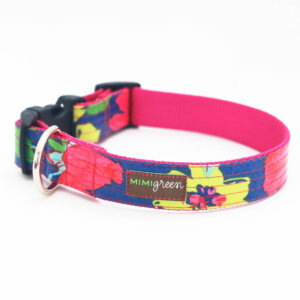 Mimi Green Oilcloth & Laminated Dog Collars are long lasting and stain resistant — two things that are perfect for a dog collar! 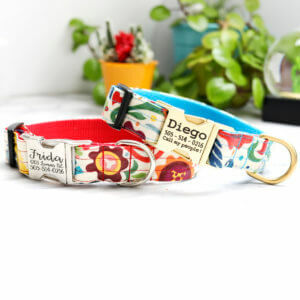 Choose from 12 Oilcloth styles, 13 Laminated Cotton styles, 5 sizes and 2 widths, so you'll have no trouble finding the perfect collar. 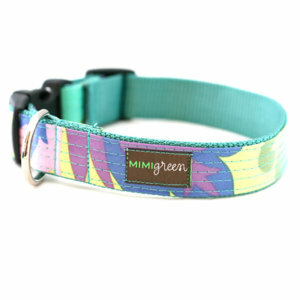 Mimi Green laminated Dog Collars are made special for your dog, ensuring comfort and style. 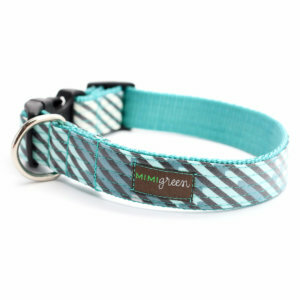 Laminated cotton is long lasting and stain resistant — two things that are perfect for a dog collar! 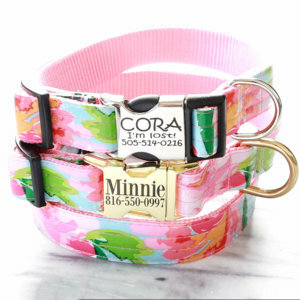 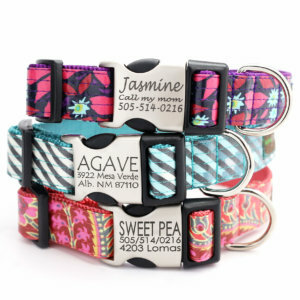 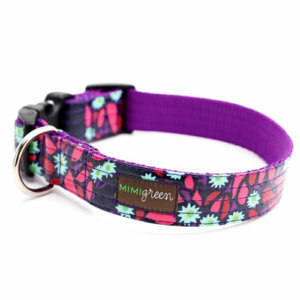 Your dog will feel so special in its very own comfy customized dog collar!